Modeling of river basins under the Climate Resilience Improvement Project (CRIP), which is supported by the Global Facility for Disaster Reduction and Recovery (GFDRR), will help us better understand water flows; improved information access and analysis by the Department of Meteorology aim to provide 2-3 days warning before a weather-related disaster strikes; NGOs, government and development partners are beefing up their outreach efforts to help alert and prepare communities; and building back better after a disaster is leading to sturdier and more resilient infrastructure. But more is needed. Investments required over the next 5-10 years for risk mitigation will amount to several billions of dollars. The country needs to keep a close watch on the impact of disasters on its finances and budget. It needs to strike a fair balance between budget support needed for disaster management programs and budget reserves which can be accessed with speed and effect in times of disasters. It also needs to build in insurance mechanisms. A long-term approach is needed while being prepared for short term impacts. So, when you are in the eye of the storm, it’s time to prepare! 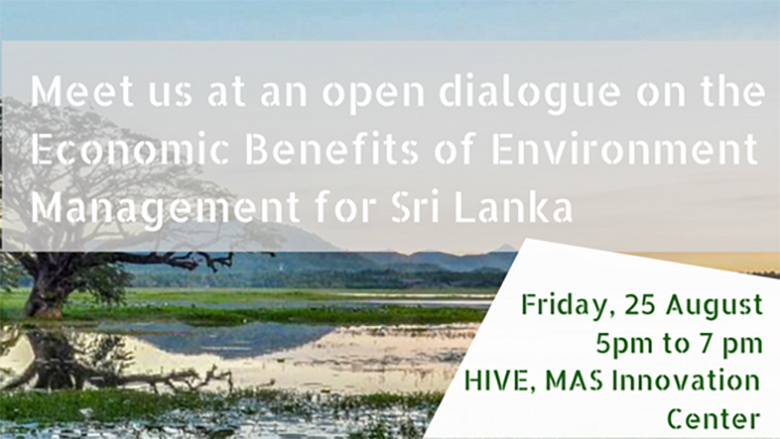 Meet me and my colleagues on Friday August 25, 2017 at 5 pm at the MAS Innovation Center and let’s discuss how we together, can help Sri Lanka to be better prepared in future. A national average IQ of 79. A national average IQ of 79. A thirty year war that has led to a rapid brain drain and the flight of thousands of affected persons to foreign lands. A political system and administrative culture that fails to attract the best and xenophobically discriminates, conspires and colludes against “outsiders”. The continuing failure of the open government partnership to open pathways for citizens participation in governance. Difficulties in perceiving probabilities and possible futures and a lack of commitment to preparedness. These are the challenges that are faced by those who would like to see a nation that is aware of hazards and willing to mitigate their possible impacts and prepare for their unavoidable engagement. How do we begin the task of overcoming them to build a safer and more inclusive and welcoming island community? How can the world bank and other global institutions help?